Release Date:11/23/2018;Notes:Nigh on ten years ago, The White Stripes unveiled the most ambitious record of their career. 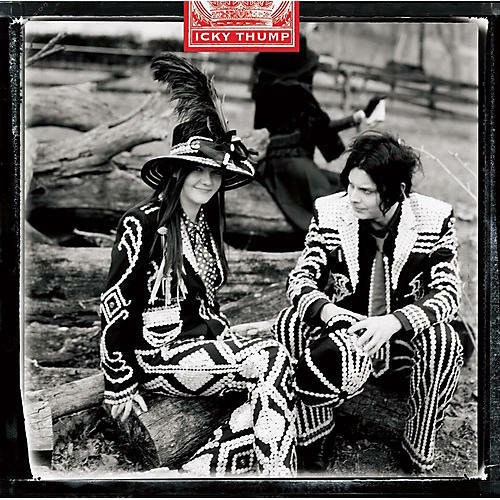 Taking it's name from the misappropriation of the British exhortation 'Ecky thump', the Stripes' Icky Thump would prove to be the final full-length studio album from the beloved Detroit duo. Now officially a member of the Third Man catalog, we are delighted to announce the standard black vinyl release of Icky Thump._x000D_ _x000D_ 2xLP - black vinyl_x000D_ Packaging: Direct-to-board double pocket gatefold LP jacket, 180 gram weight vinyl_x000D_ 4-page insert_x000D_ The new TMR version has a printed inner sleeve with a black and white image_x000D_ Audio sourced from the original master tapes. 100% all-analog mastering by NRP with even more superior sound than previous pressings.